Nothing to terribly new, I finished all the extensions, and now just need the 2 Power Supply Extensions, and all the Power Supply and its cables to be sleeved, and then I start on the actual build. I am hoping to have enough energy and determination to finish them today - tomorrow, and start the build by latest tomorrow night. And Monday finish building, and Tuesday be on Windows 7. And that completes Phase 1 of the project. Phase 2, is new hardware, also I could use some suggestions on Phase 2. I am thinking of adding accent LED's, and using Metal Polish and making the inside reflective, need ideas! 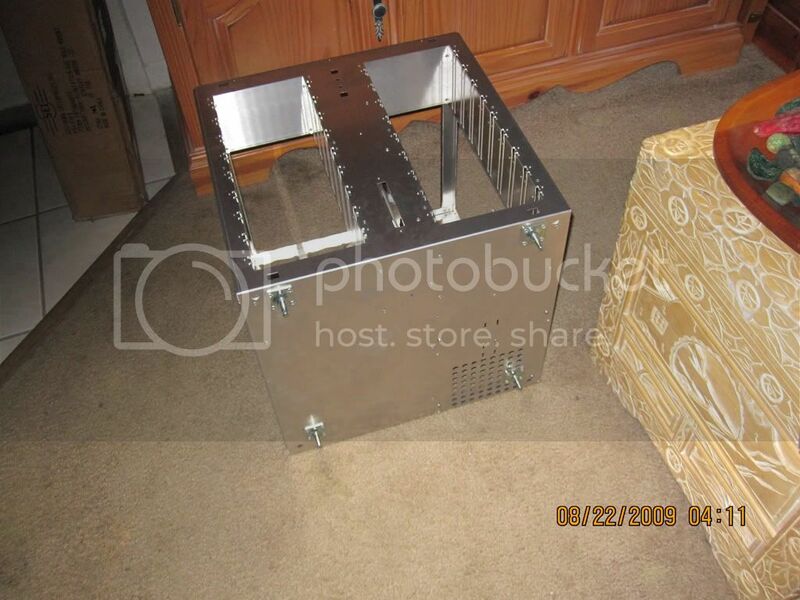 I can't powder coat it myself, so need ideas I can do at home. Also not to keen on painting the insides with normal paint. Alright Talk to you later. Anyone have any suggestions on opening the male pins of the sleeves, the female ones I opened, albeit it was really difficult, but the male do not want to come out. Also in case one of the pins break, anyone know where I could pick up replacements? Thanks! 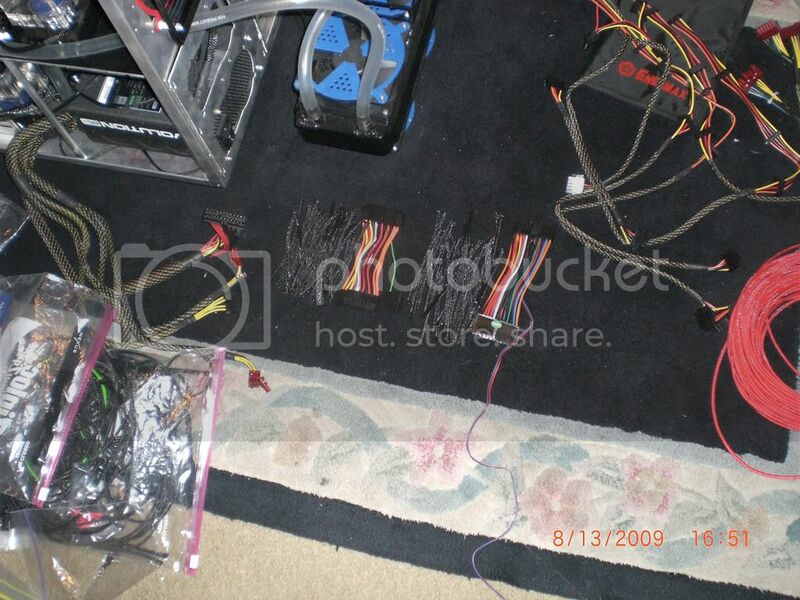 Thanks for Enermax for helping me out with some cabling! 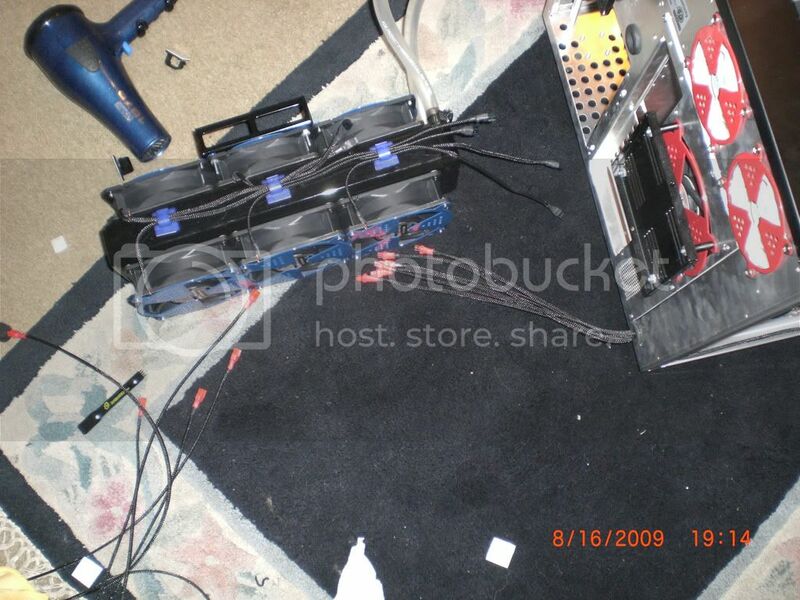 Nothing terribly exciting, and keep in mind this is a test cabling run, I am going to remove everything and tidy, but man theres alot of wires haha. Also I got a new camera, so next update will feature pictures from it , and Ill attempt to take better pictures haha. 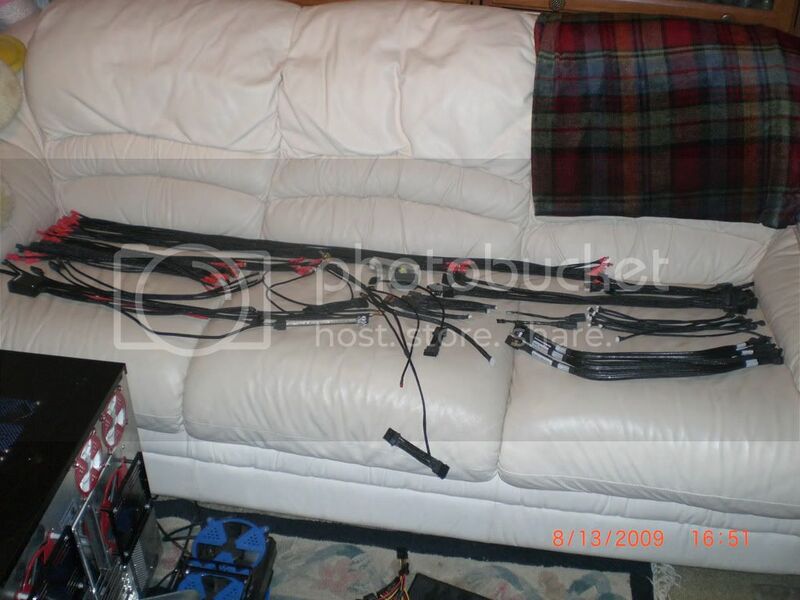 Another full shot, funny story while a bit angry, I melted this cable, heh! Couldn't get the pins out and thus yea...... bad idea, but it works heh! Update: Preparing for the rebuild: Meanwhile I am reorganizing again, and will start sleeving the psu extensions, so I won't be idle. I still want to wrap up Phase 1, by latest Next Sunday. Wish me luck. Also hopefully the pictures are better . Yea this isn't going to work, on the right side, wheres theres all the wire organizers, theres horrid but useable space to tighten the screws, but on the left side, its hopeless, at this point I knew I had to do something, and at least I proved my proof of concept, unfortunately now I have to tear everything apart and start over. It was a huge pain to remove those wheels, I gave it all I got, and at least it was enough, but doesn't change the fact that it was uber hard. And thats it, hopefully monday or tuesday Ill get it coated, and continue the madness, be back soon! 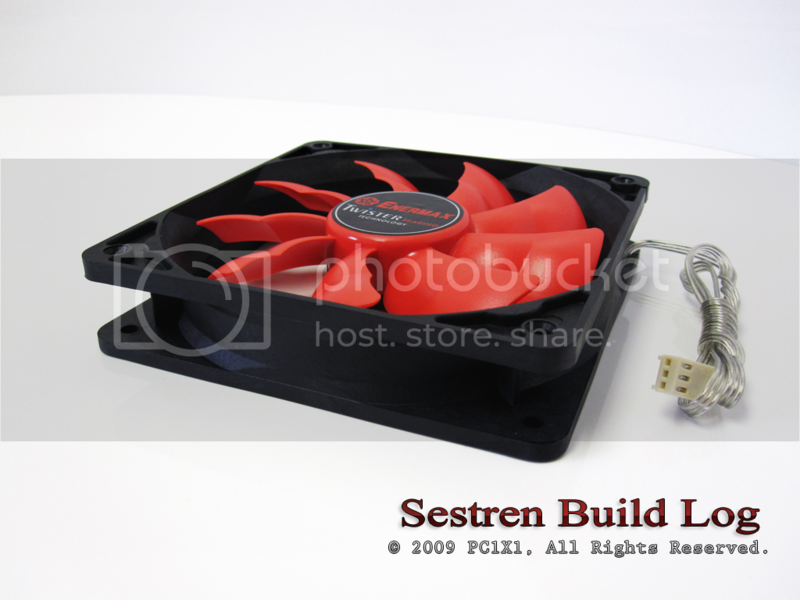 As per sponsor request, I am expanding my build logs to various forums. Greetings, My name is Phillip aka. 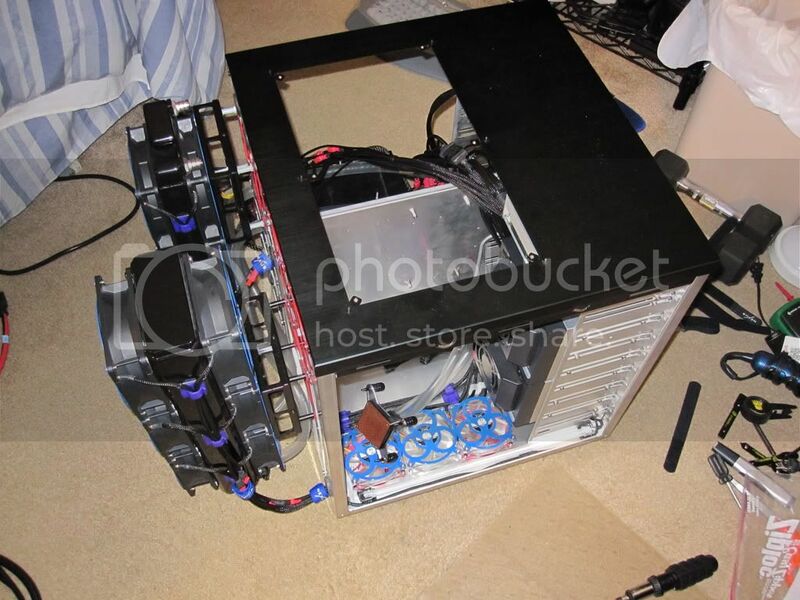 PC1X1, and for the past few months I been working on my build log. While I originally planned to expand my build log to various forums across the net, I first thought on focusing my attention to a single forum to simply get the hang of this. This is my first build log, and hence its been a learning experience. I am now confident and per request am now amping up to spread the cube across the intertubes. Anyhow the build log is still ongoing, and is being rebuilt, so expect alot of new posts. I will be posting in several forums, so feel free to pick and choose your favorite. I will be checking each one, and will reply to any questions on that forum. If your nice enough to help, or provide insight or criticism, I will add you to the Thanks List. Anyhow right now I am working on *Improving the build any way possible, and also will be working harder to get the pictures to be better. I have a new camera, and am now practicing the angles, lighting etc, to provide the best clarity possible. I been a member of a few forums, and lurked in many in the past as well. 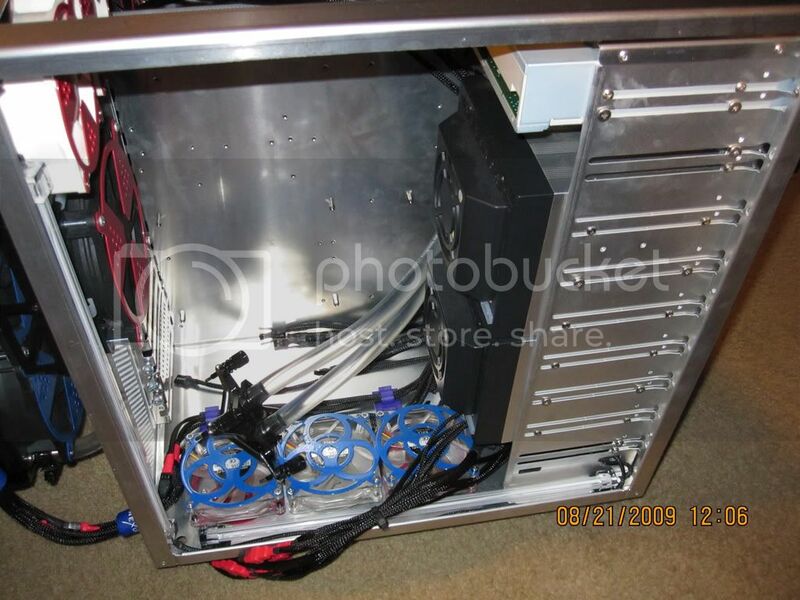 I apologize for the genericness of this message, as its part of the standardizing of the build log, but rest assured, each forum, I will research, and look for information on making my cube better. Overall I hope you guys welcome Sestren into your community, and I will do my best to make it as good as possible. Thank you very much, and I hope to be a productive member of your community. Thanks!! *keep in mind, these posts are retroactive, and image quality and build quality are improving . Its a learning experience! Thanks again. Also I have read the rules and terms of each forum, however since I am posting in multiple places, I may make a mistake, as each forum has its own individual set of rules, ie picture size, etc. Please let me know kindly and I will fix it, though odds are everything is fine, I hope hehe . 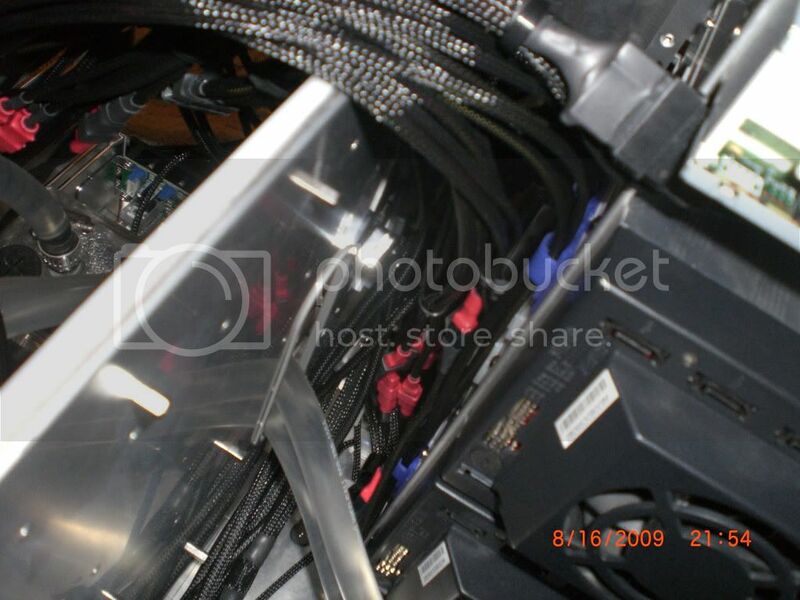 This build log as been optimized for a 1024x768 resolution and is Netbook and Phone friendly. That's it for now, please keep in mind that all posts prior to this one are retroactive, and merely posted so you guys have an idea whats going on. Going forward individual attention to the forum will be taken, and things will make more sense, also if I quote you on anything, I will put a forum tag where you are from, ie like my Thanks section, thanks and feel free to provide feedback. My Greetings post is in post 1-2. Thanks again, its with feedback, and the power of the community that urges me on, its alot of work heh! After reading each forums, Rules and Regulations, here are the possible conflicts with formatting, this is a standardization attempt, so if you notice anything not complying to the rules, please let me know. 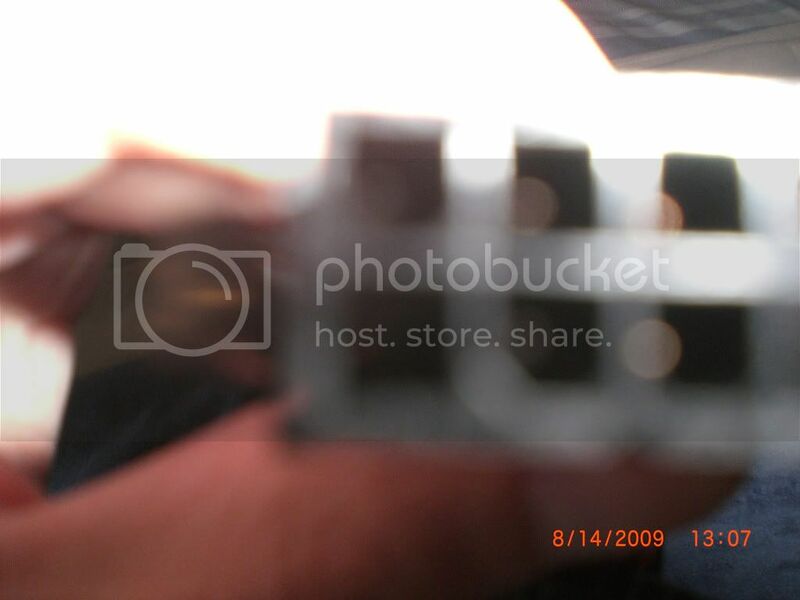 My build log is formatted at to be readable at a 1024x768 or higher. In an attempt to deliver the best pictures possible, everything is as high resolution as possible, and formatted for web use. Below are notes on what forums guidelines may contradict in the way this build log is formatted, and I will change and comply to each forums rules, or ask for an exception whenever possible. If you see any rules I may have skipped and that this build log may be violating, please let me know, and I will be glad to change it to a compliant format. Thanks! Bit-Tech.net: Name/Date Title (under 70 Chars), 640x480 Res Limit, Mod PM'ed for clarification. Themodbrothers.com: 800x600 Res Limit, Mod PM'ed for clarification. Thanks, it should be sometime next week actually because I am waiting on my dremel to arrive so I can mod the motherboard tray a little bit better. Otherwise everything is on schedule, and I look forward to that myself . 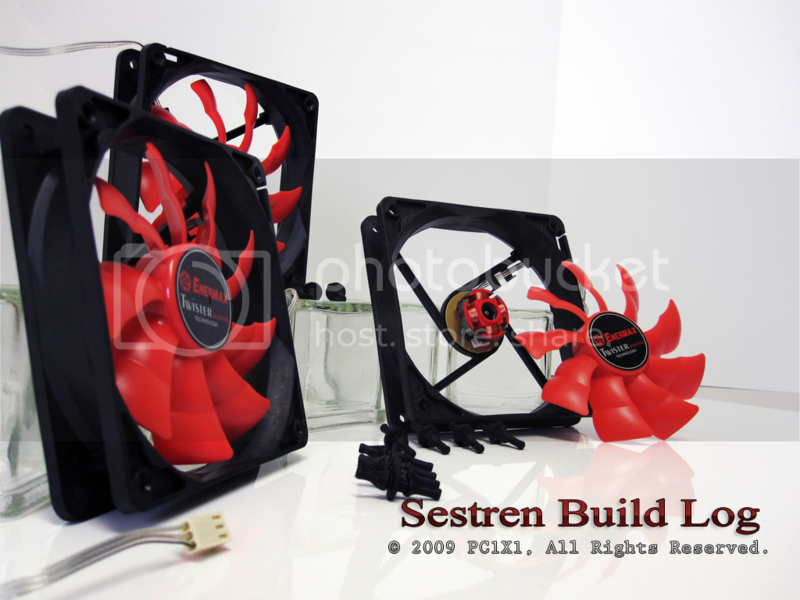 Evening everyone, and I am proud to bring you a glimpse today of whats to come for the Sestren build log. I been working around the clock to improve everything that I can, and in the next few days, weeks. Expect a multitude of updates, I took to heart all your comments, from private messages, emails, and sponsorship feedback, and I hope to bring you the best possible build log. So without further ado, I am bringing in a new section of the build log, for a few items, I will do a "parts review" showcasing" a special part of the build log, and expect all new updates on the normal build log, to be of the same quality. There will be less pictures per update, but the quality will be there. I will try to be as consistent as possible, and I will update as often as it makes sense to. I hope to bring a new standard of quality and will do my best. Mean while please continue all your feedback, as I really appreciate it. Enermax Technology Corporation, est. 1990 in Taiwan is known as a worldwide leader in engineering solid and powerful computer power supplies. 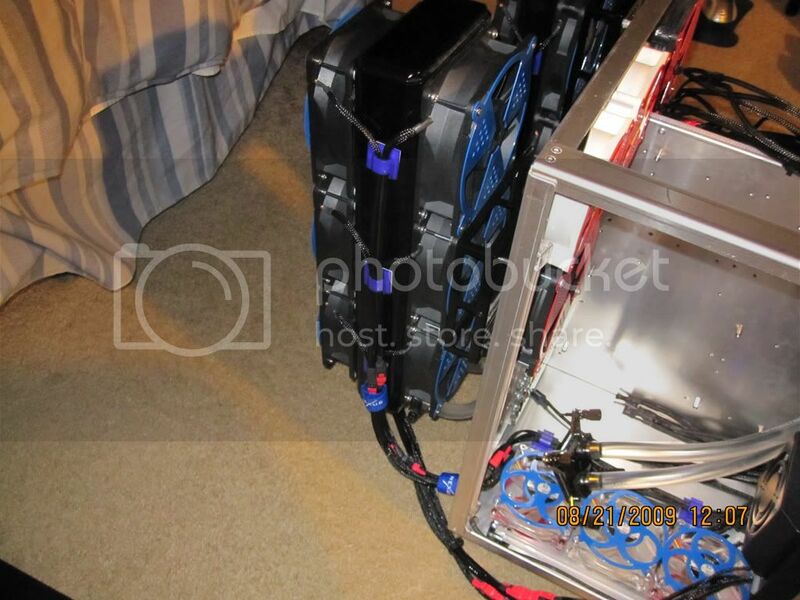 Enermax also specializes in computer cases, peripherals and other accessories. 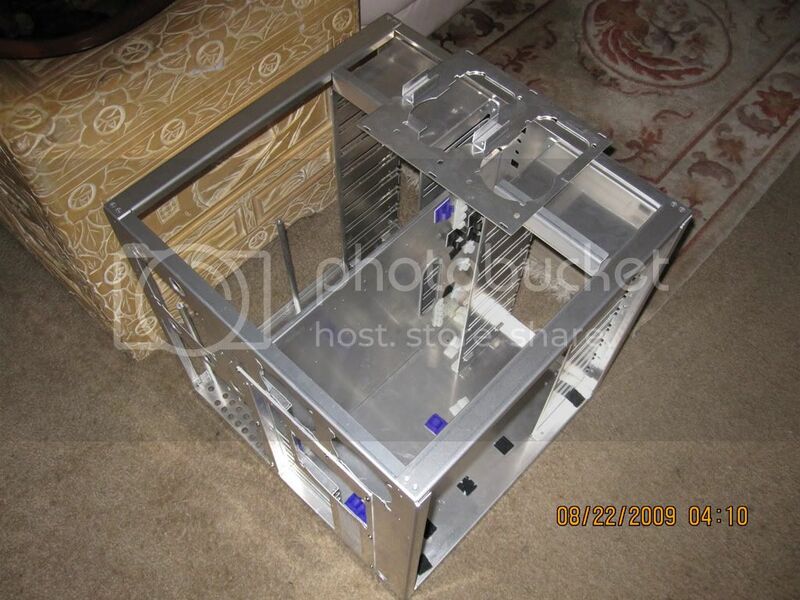 Enermax provides OEM “Original Equipment Manufacturing” services for various other companies, who use Enermax’s experience in the field to design and manufacture their own products. 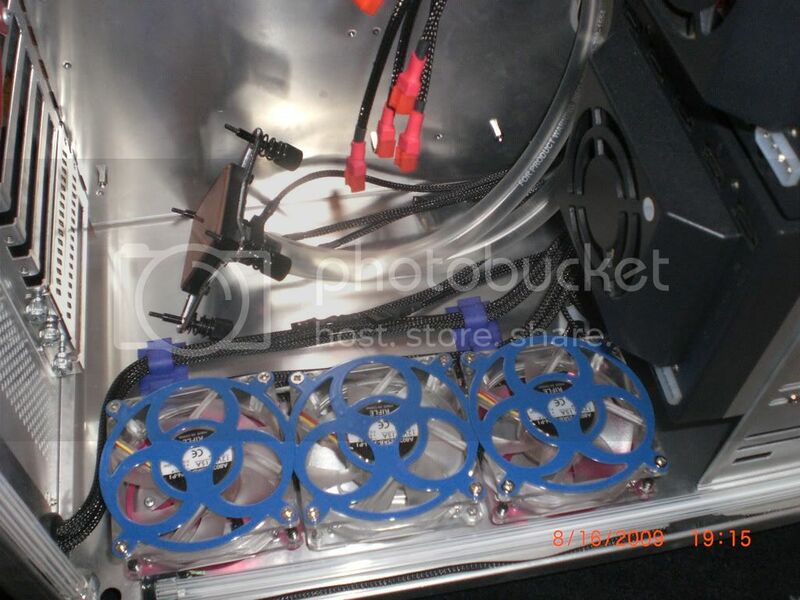 Enermax pools their vast Research and Development resources and ability to manufacture top components into their own line of products as well. 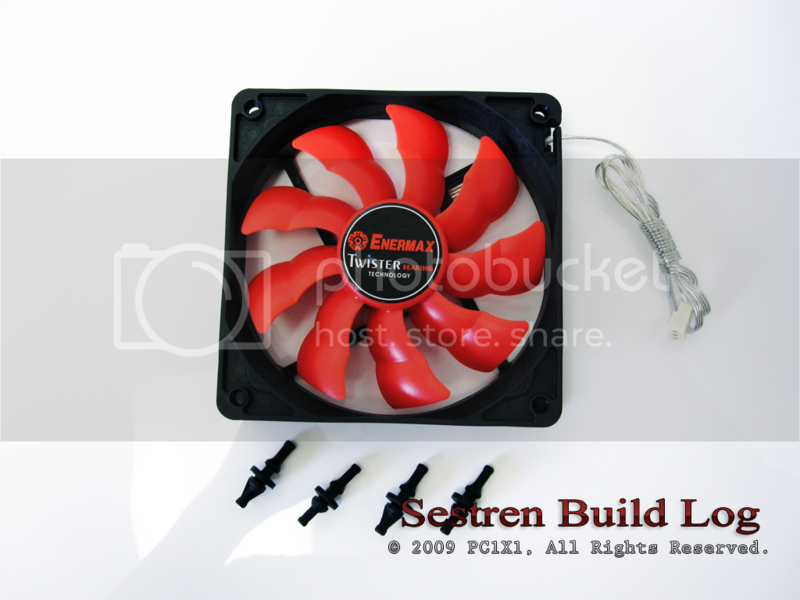 With a reputation for quality Enermax is known throughout the enthusiast community as a reliable and solid company. Both in terms of their products as well as their outstanding customer support. 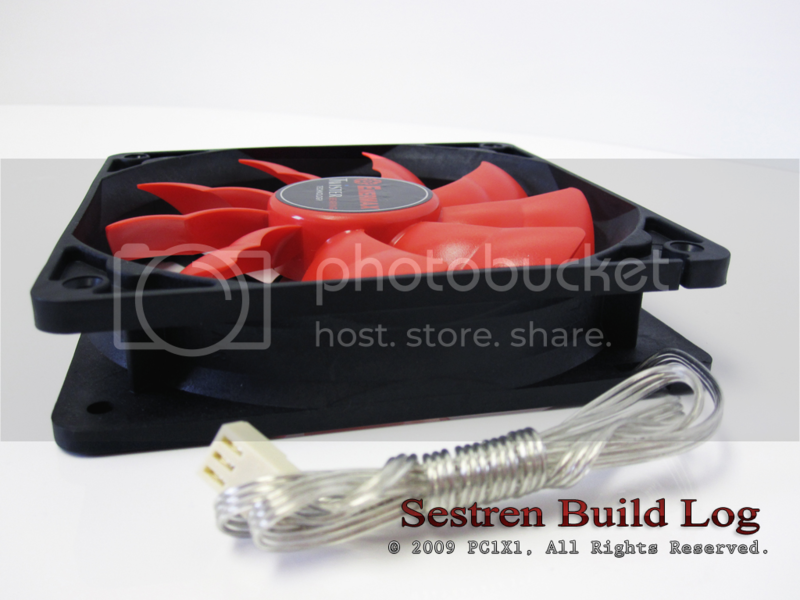 With the same dedication that has made Enermax famous as power supply manufacturers, Enermax created the Magma line of computer fans. 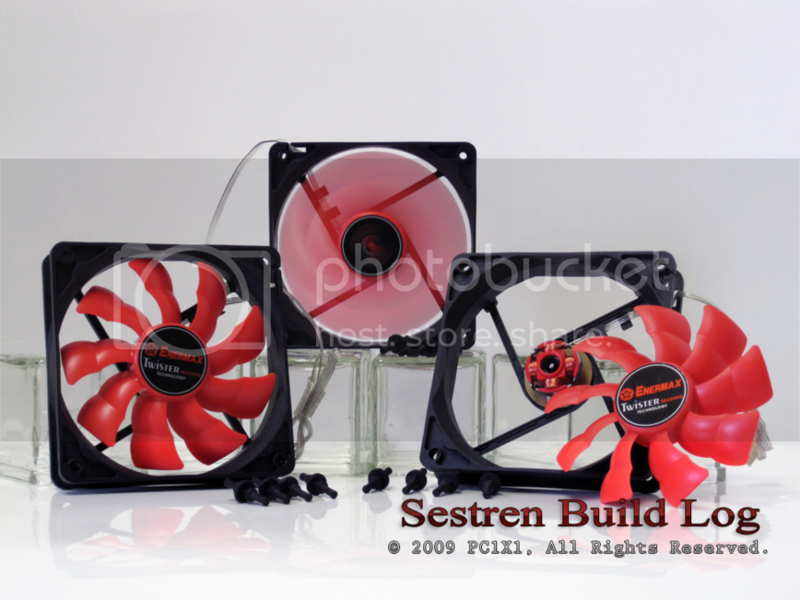 The Magma line is Enermax’s answer to enthusiast cooling. Specifically the Magma UC-MA12, or Magma “Twister” fan is designed to be powerful; pushing close to 70 CFM at a top speed of 1500 RPM, yet still more importantly virtually silent. Pair the Twister with a fan controller, and you have a versatile, silent air mover. As most Enthusiasts have several fans in their computers, it’s a welcome sight or in this case noise, that the “Twister” is barely audible even in stock form. In a rare best of both worlds, the Magma “Twister” has the oomph of a powerful fan; its batwing fan blades boost a 20-30% CFM improvement over traditional fans. 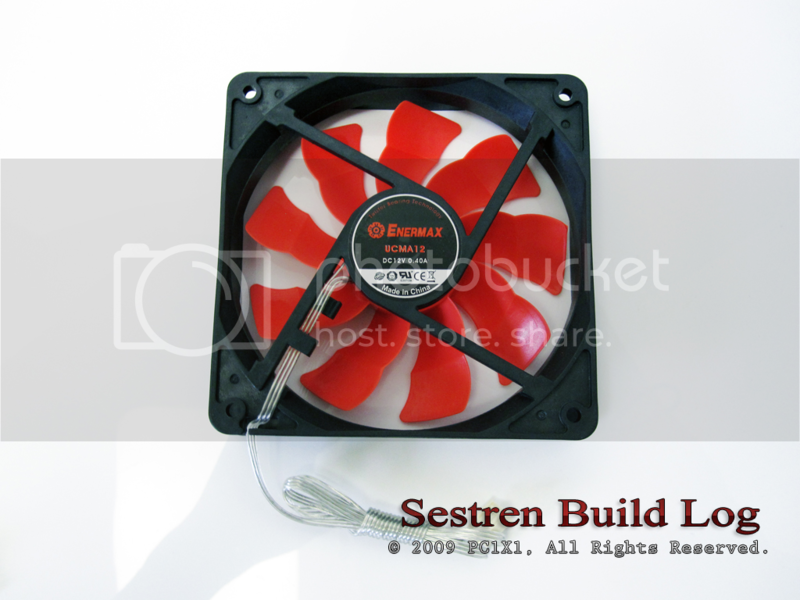 Yet the “Twister” produces as much noise as a low rpm silent fan. This is possible to due to the “Twister’s” unique and exclusive Twister Magnetic bearing technology, which makes the spinning bearing feel like it’s literally floating in air. There are absolutely no signs of friction or movement from the bearing to the blades itself. The only small discernable sound is of the wind moving through its blade. With an 18 decibel rating, the “Twister” is significantly quieter than a normal human whisper, which is rated at approximately 30 decibels. 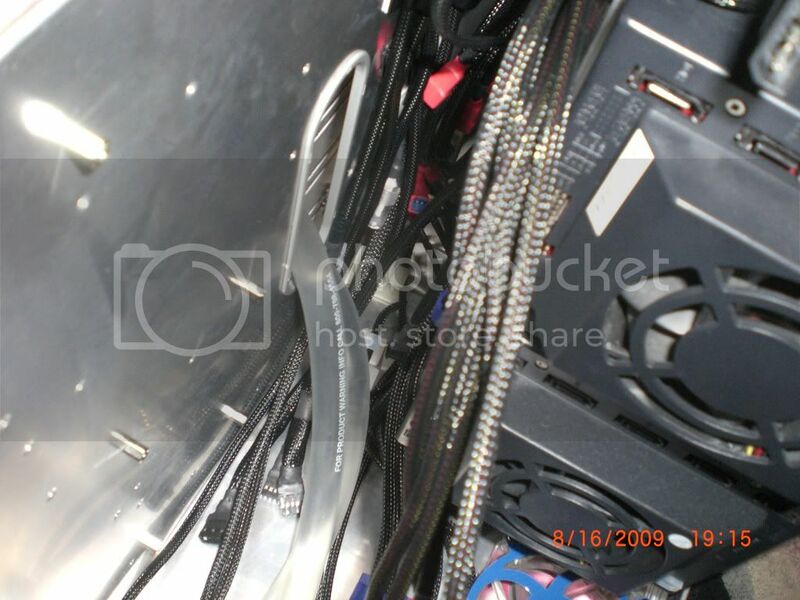 When inside a computer case, you won’t hear the Twisters at all. So not only is the Enermax Magma Twister powerful, and quiet. It is also very attractive. A beautifully sculpted red tornado like blade hovers over a very densely black housing stand the “Twister” apart from normal fans. No cheap materials here. The plastic housing feels solid, but smooth and strong enough to withstand a fall. Yet it is still soft enough for your fingers to touch and search for its voluptuous curves. The Twister follows standard 120mm form factor and measures, 120x120x26.5mm. The materials and finish is top notch, with black being actual black and not a grey cheap plastic and that’s only the fan housing itself. The “Twister” also boosts a removable striking red fan blade, which not only makes it a breeze to clean. 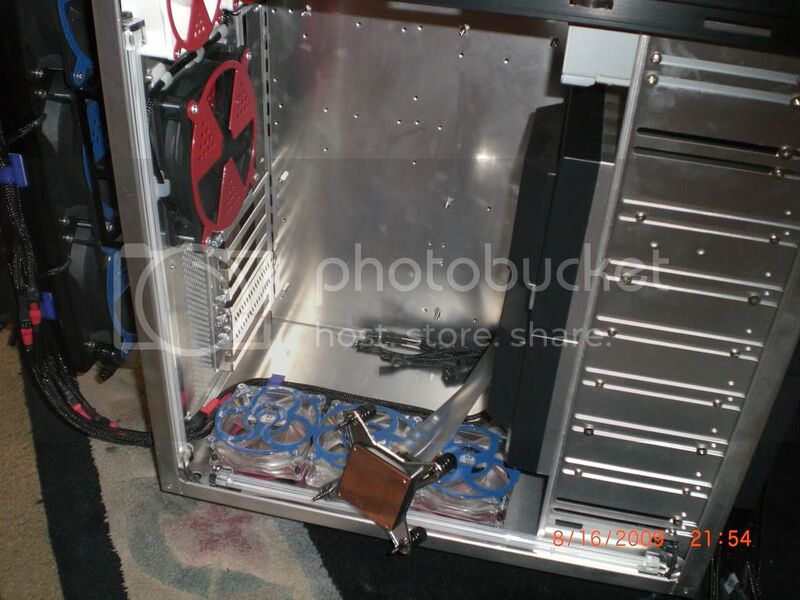 Simply press outward from the back of the fan unit, unit the blade pops off for easy access. 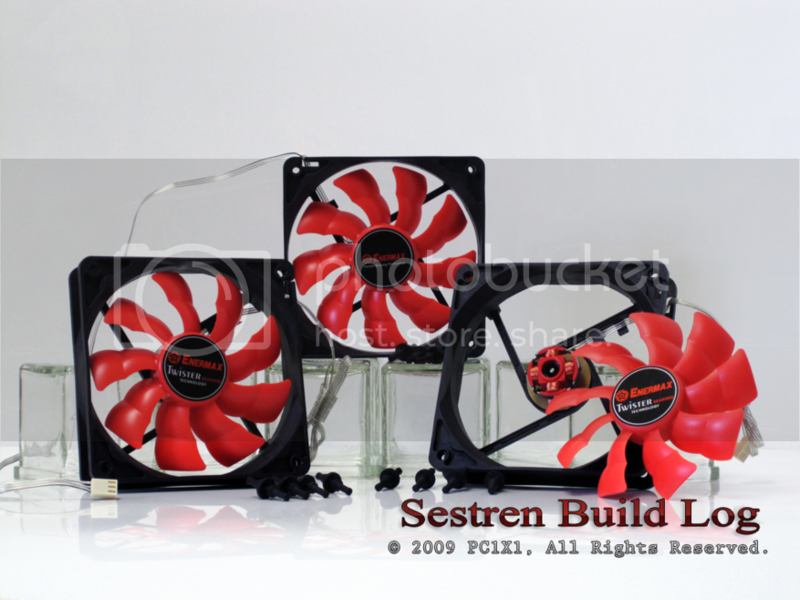 It is also a Modder’s dream because nothing stops one’s creative imagination on how to customize this fan. With ample access to its housing, and blade, feel free should you need to customize its color it to your heart’s desire. The Magma Twister comes with a long clear and attractive plastic sleeved cord that not only holds all the wires together as that make routing that much easier. It also feels very solid and of quality. Should you choose to customize the Twister further, its joined wiring makes it a breeze to sleeve with your own third party sleeving. Still even with such a repertoire the Twister keeps on giving, as the retail package comes with a 3 pin to 4 pin adapter, should you want to use the Twister as a CPU fan, as well as plastic anti vibration screws, that considerably drown out noise due to vibration. The Enermax Magma Twister is rated an impressive 100,000+ hours of operation, which will undoubtedly make the “Twister” outlast most of your other components. 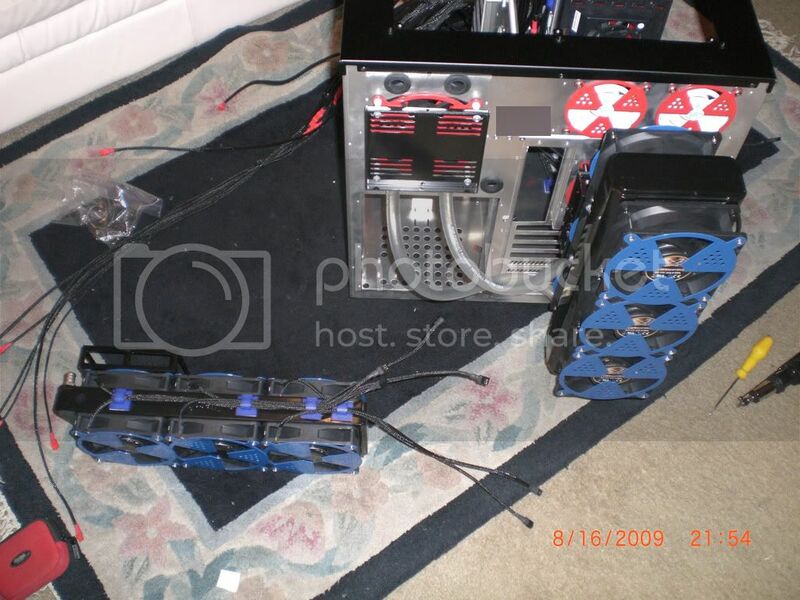 The Twister’s are perfect for computer case, and cpu heatsink usage. The Twister also has an impressive 1.4 pressure rating, and can be used in conjunction with water cooling in radiator trim, however in extreme conditions it is not intended for radiators, and one should look further in Enermax’s line up for that use. 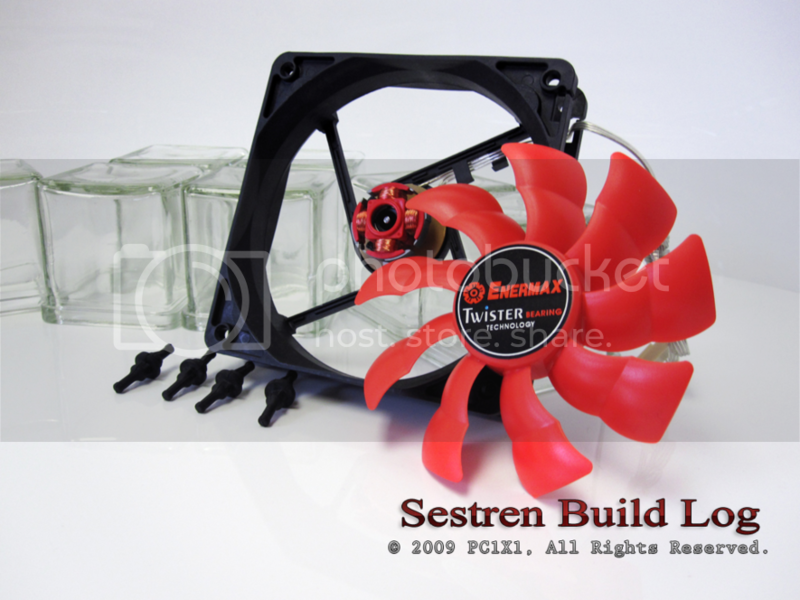 The Enermax Magma Twister is bar none the best case fan available today. 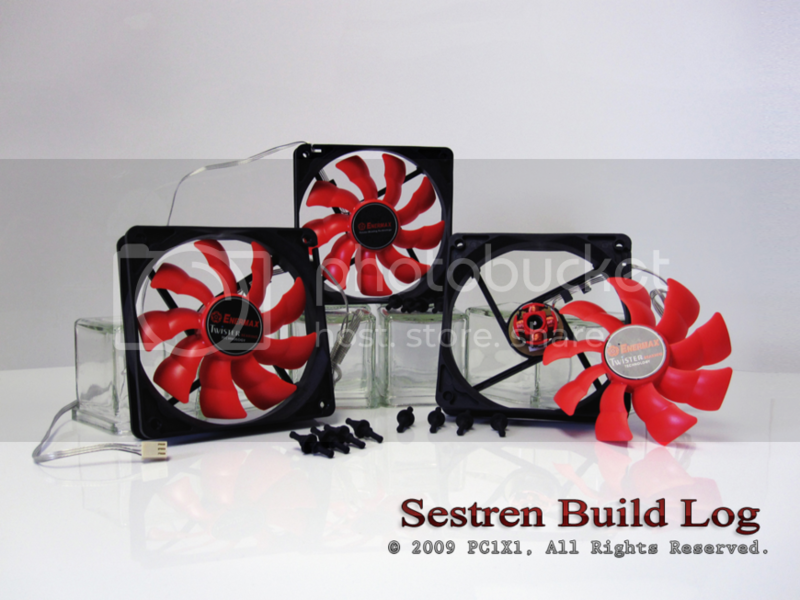 It’s a solid build, which moves a lot of air but produces little to no noise. It’s very attractive, black on red design and smooth textured materials make it a looker. Its removable blade is perfect for cleaning, as well as customizing. And comes with all the necessary accessories one would expect a high tier fan would have, such as anti vibration screws, and a 3 to 4 pin adapter. Enermax has been famous for its outstanding power supplies for years so it comes as no surprise that its fans follow the same trend. The only quibble one can have with this fan is the fact it’s not free and being a premium fan, it carries a premium price. However the fact it’s a performer and a silent one at that, makes the Magma Twister a real solid investment. In a society where one spends hundreds of dollars in components that will be replaced in the next two years, the Enermax Magma Twister will lively churn along for years to come doing its job well and being barely audible. Paying itself with your ease of mind as it’s a solid product sold by a solid company. The Enermax Magma Twister is highly recommended. Brief: Good evening guys, sit tight that the next update will come in a few days. I was unfortunately delayed due to dremel issues. I finally bought a dremel, and unfortunately it arrived dead. I have ordered a replacement and should be here by the end of this week. Since that happened, not to much progress, so expect the new update to come close to the end of September or early October. Again I apologize for the inconvenience, I am as inconvenienced as you guys, as I was hoping to have it assembled by now. 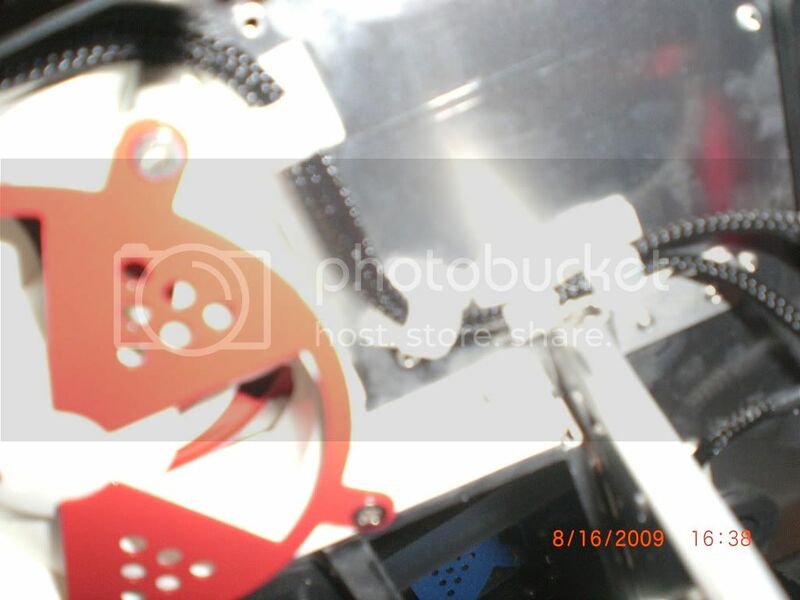 The powercoating should be done early next week (after I get my dremel replacement, do a few mods, and then its off to powder coating, and then the update with the Red Cube. Sit tight, hang on , until next time! Meantime feel free to ask questions, etc. Brief: Good Evening Everyone, lots to do today! Before you scream "Bloody Murder" this log is becoming a Review Log, and not a work log! I'd say Halt. As work on the worklog is ongoing, and as I mentioned previously I have had to pause for a bit due to getting the Cube painted. 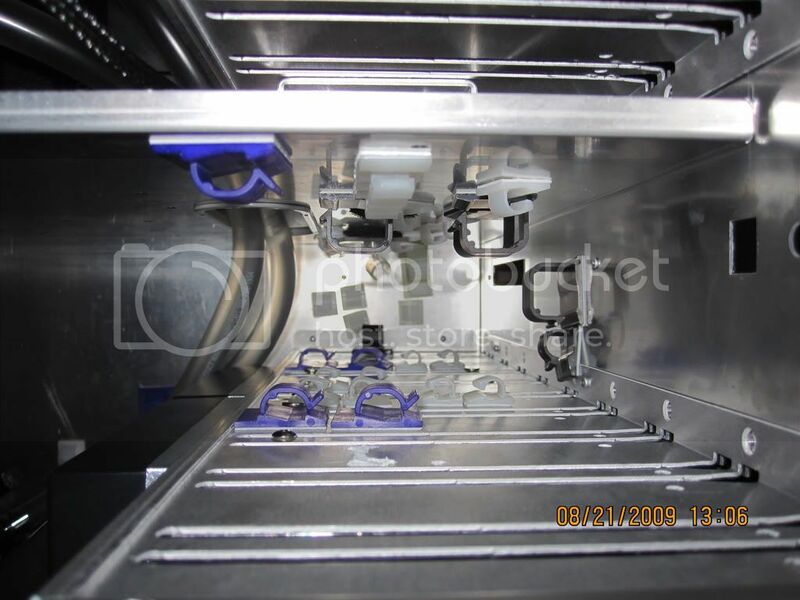 First I had to wait for my dremel to arrive to do the mods, the dremel was DOA, got replacement, did the mods, and dropped it off at Fusion Powder Coating here in Sunny Florida, and am picking it up early week of Oct 4th - Oct 9th. And I will resume operations and do all updates with the worklog in the same manner and production as the parts review. However so I am not standing idle, I decided to do some more Part's Review for you guys, this is where I show you a hands on impression of products I am using in my build. You will see it in the final product, when I actually get to the point in my build log that I use it, I will reference these, as my hands on impressions, and on the worklog it will be practical usage. So feel free to ask any questions as you may want to use these products yourself. Alot of things I use, I got ideas from other worklogs, so to make it easer for you, I have linked the products I am showcasing in these reviews in the Part's list. Big thanks for my partners in the build log, for providing, and helping obtain these items. 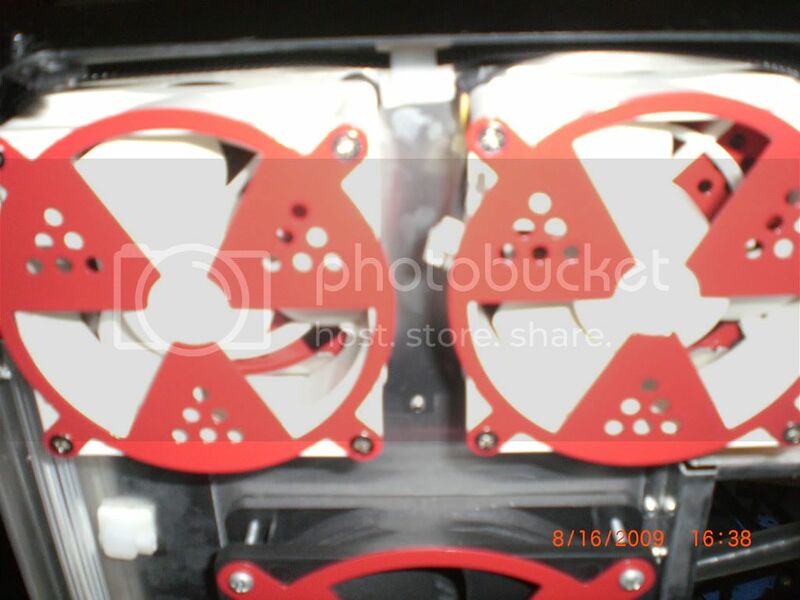 The Cube ended up being Powder Coated Mettalic Red, and Black, so its not a normal powder coat, I asked for and paid extra for Show Quality paint. Fusion Powder Coating, normally works with Automobile and Motorcycle parts so you can start imaging the outcome! I am anxious as you problably are now, and I will post the picture of the painted cube ASAP. Expect another Part's Review tomorrow, and then I am done with reviews for a while, and then I will be working full time on the worklog, and hopefully, cross your fingers with me! I can obtain the rest of the parts and keep going. 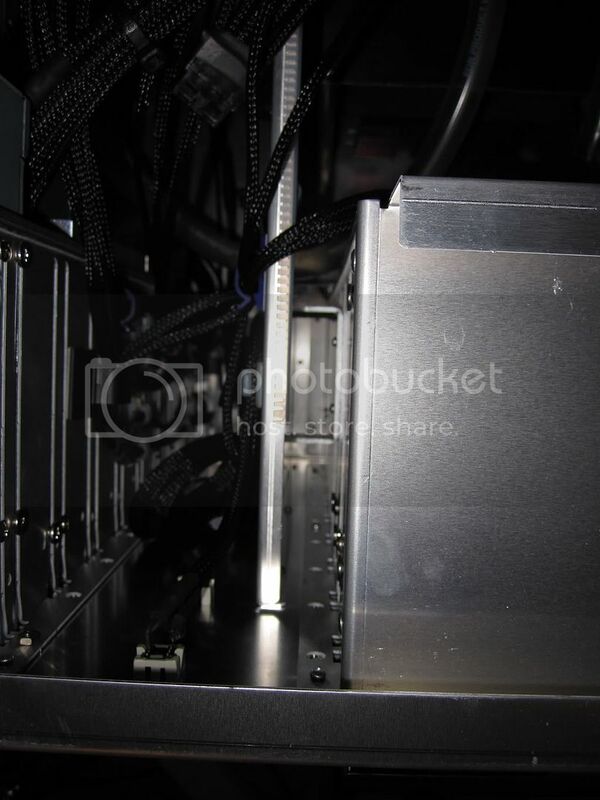 A factor that threw alot of things in the air, however is graphics cards. 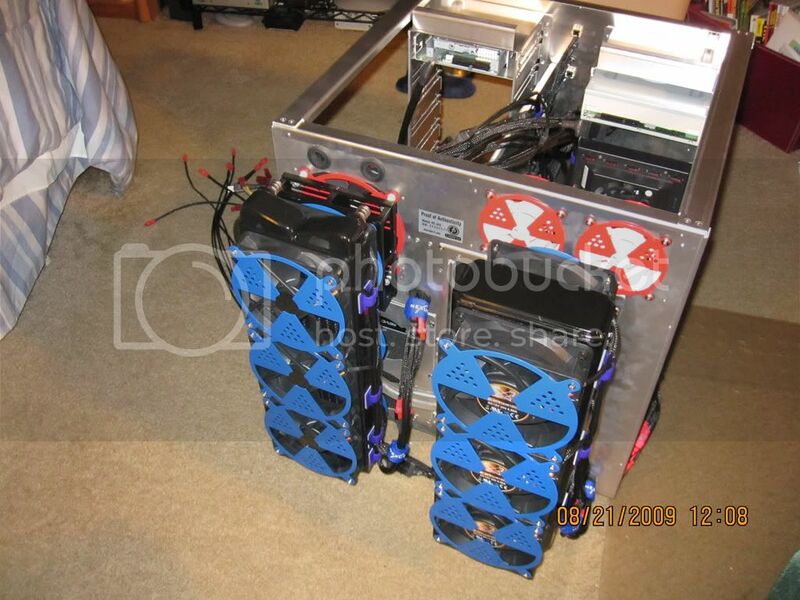 Right now its a race between 2x 295 GTX's and or 2x Radeon 5870x2s, and or 2x Fermi's. 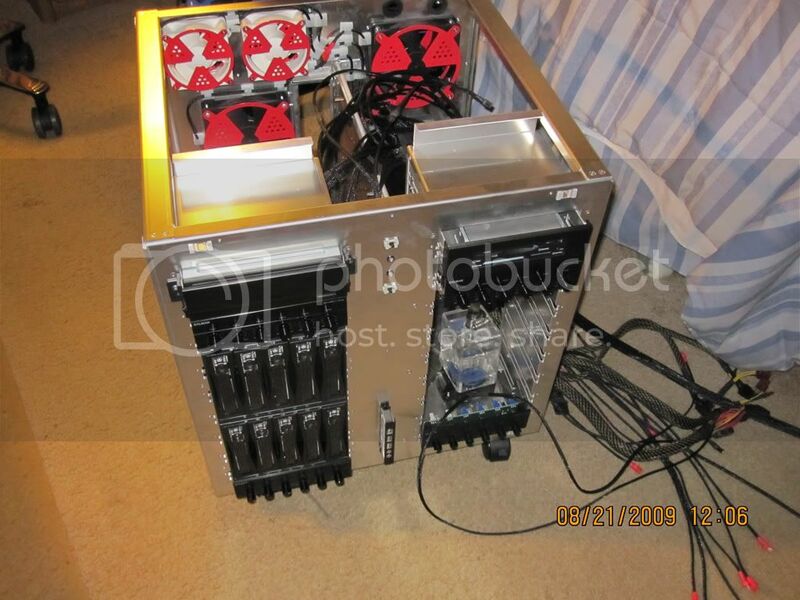 I am still evaluating all my options, and it will come down to performance and cost. As soon as I have a clearer decision, I will let you know. 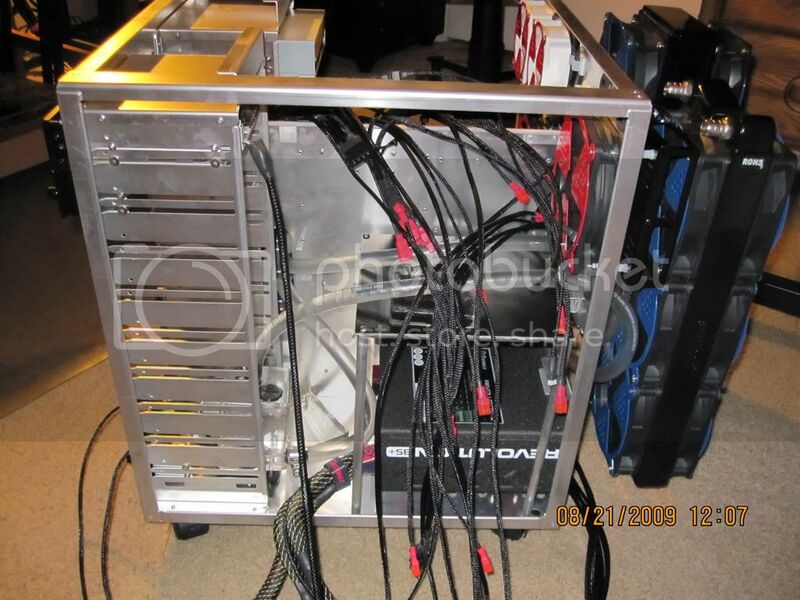 Also due to the recent price drops in SSD, they have now become viable options, and I will be using 4 solid state drives as my main OS drives, and I will send the Raid 0 Velociraptors into Programs/Data drives all powered by the 1680IX. Either way, its going to be very very fast. I have updated the first page, with all full parts list, and will make a few more edits here and there, when I either have the items, or have a clear decision on using that item. However 99% of the time, anything that goes in the parts list, I own, or have already made an arrangement for it to come. As some items are custom, I can't 100% confirm their existence yet. Anyhow that's pretty much it for now, expect more constant updates, and much more content in the coming weeks (honestly in a couple of days even!). I will push as far and as intensively as I can. I hope everyone joins me in the struggle that is this work log. It took me 12+ Hours straight for this update to occur from start to finish! I'd like to thank my producer, (Mom), and Logistics Director (Dad), as couldn't have gotten these pictures up without them. They also sign off layout changes, heh. Front page is officially done for now, go click on the first post again! Thanks alot for checking out Sestren! And make your voice heard, if you like it, make your voice heard, or type here, as the more support, the more influence and reach I can push for. And be back soon, as in a matter of days, a certain red metallic comes home..... I am ready. 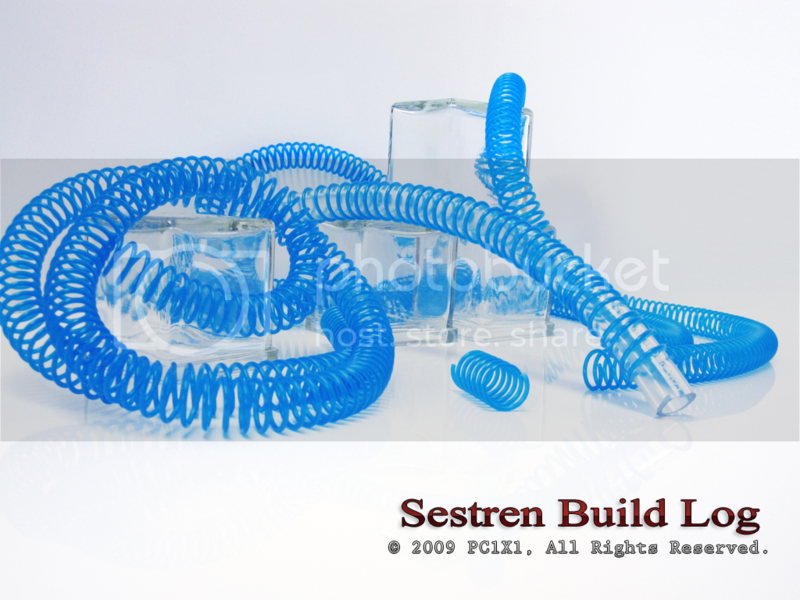 Smart Coils are twisting plastic strips that are used to cover tubing so it doesn't kink or bend itself thus obstructing waterflow while the tubing is bent at awkward angles. This is important because a single kink can drastically reduce waterflow. Smart Coils are generally specifically made for certain o.d, or outer diameter tubing. Today we are taking a look at 5/8 O.D Smart Coils from Petra's Tech Shop. Because Sestren uses external radiators it is imperative to make sure all the angles from the external radiator to the inside pumps do not kink. So Smart Coils are applied at certain sections to prevent that from happening. You can apply smart coils by gently wrapping it around tubing that will be angled. It is interesting to note that alot of users use alot of Smart Coils to dress up their tubing, when it actually only needs to be applied to where the tubing is angled. Smart coils can be used sparingly. One doesn't need to use a large amount of Smart Coils. However since they denote a certain status quo and are generally attractive depending on the build, it is fun to put them all over the tubing. 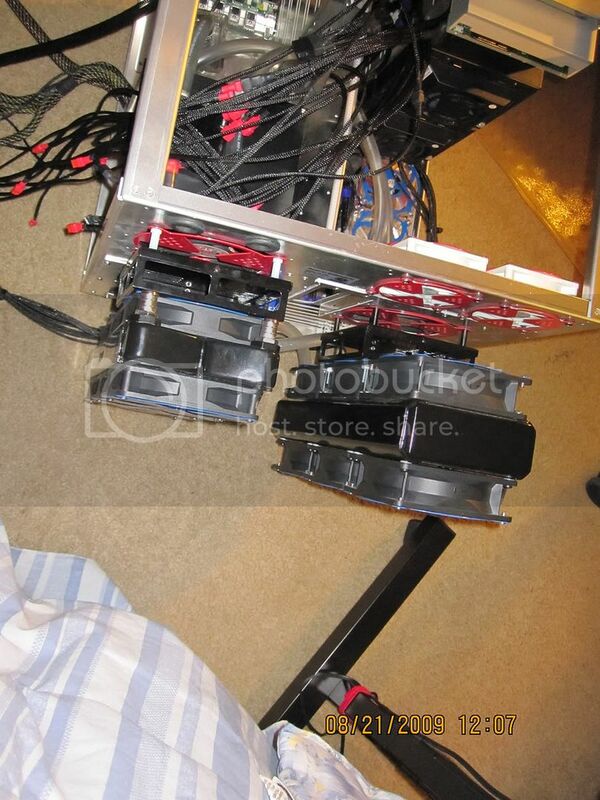 It won't hurt the computer in any way, just your wallet. Overall Smart Coils are pretty simple, put them where you want to prevent kinks and you are done, they are necessities in tight tubing bends, and generally inexpensive, so definitely pick up a few if you can and are water cooling. Do note however, that there is a small drawback to Smart Coils, and it isn't their application nor the functions, when coiled they work perfectly. Their only con is really their resistance. They can be pretty brittle sometimes. 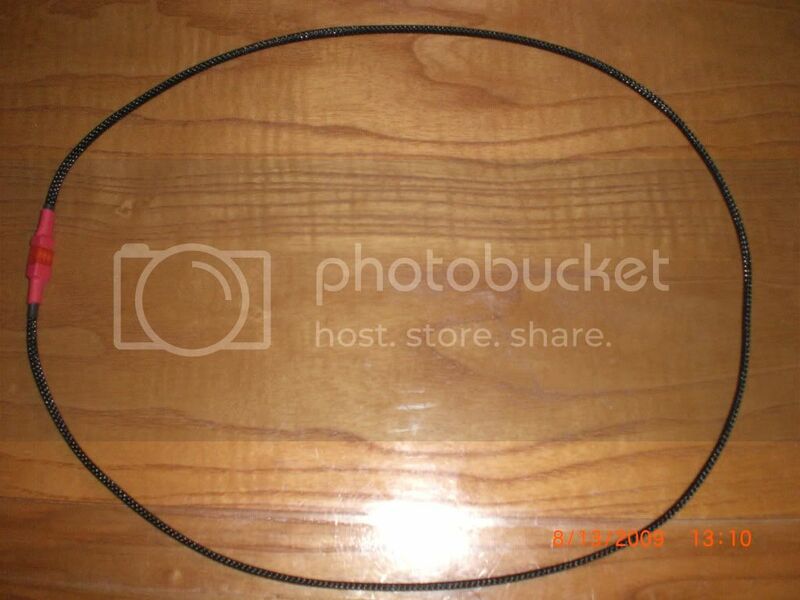 Personally I am only acquainted with this type of Smart Coils, which can be bought from Petra's Tech Shop, so this may or may not happen to all Smart Coils. However it seems to be the norm. 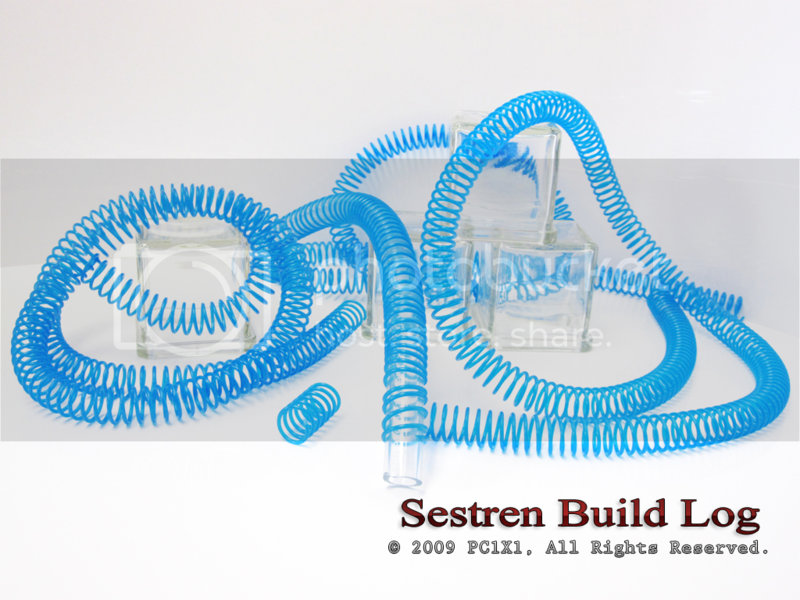 If you apply the coils with tubing already filled with water, or even if its dry but its connected to something if you are not careful while coiling you may break the coils. While they can certainly be put on and put off, if you are gentle and careful, they are also prone to break. 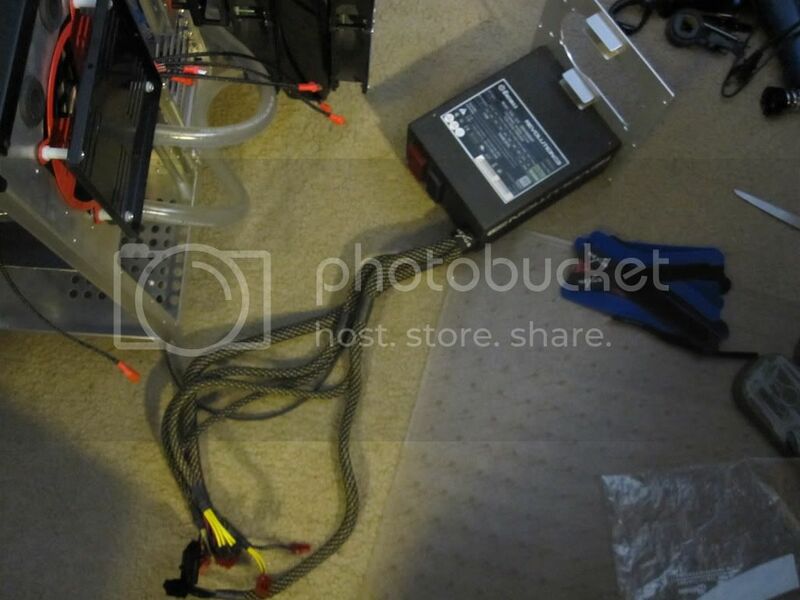 So I highly suggest you apply the coils prior to the build, and only after your tubing is coiled up, then put it inside your computer. Failure to do so, can result in losing a perfectly good pair of smart coils, which I personally lost. You can check out in the first stages of this worklog on that one. Overall I highly recommend Smart Coils, and pick up a few, just in case you break one. 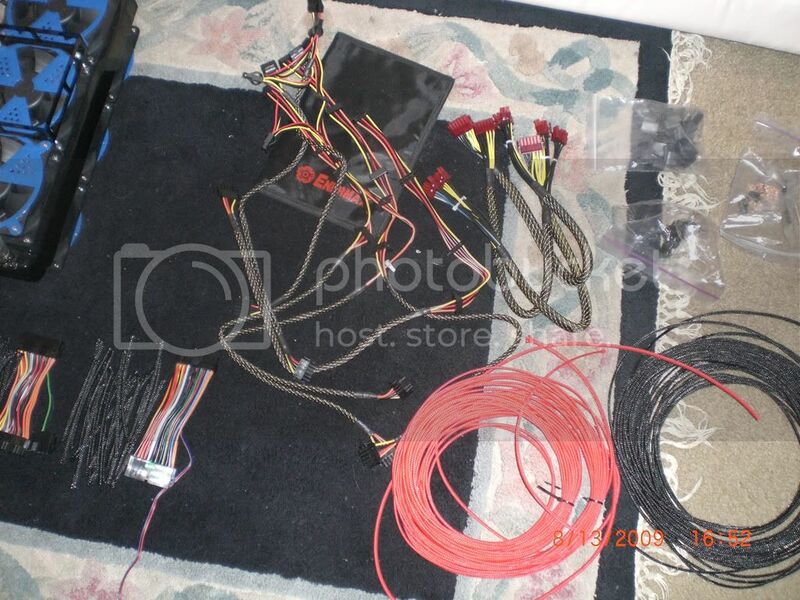 And specifically this one from Petra's Tech Shop, as it's inexpensive, does its job well, and when one of my coils was faulty, Petra's staff took care of it, and replaced it, and explained how to properly apply them. So it is highly recommend if you have areas in your water cooling set up that are prone to kinking, get yourself a pair of smart coils today. 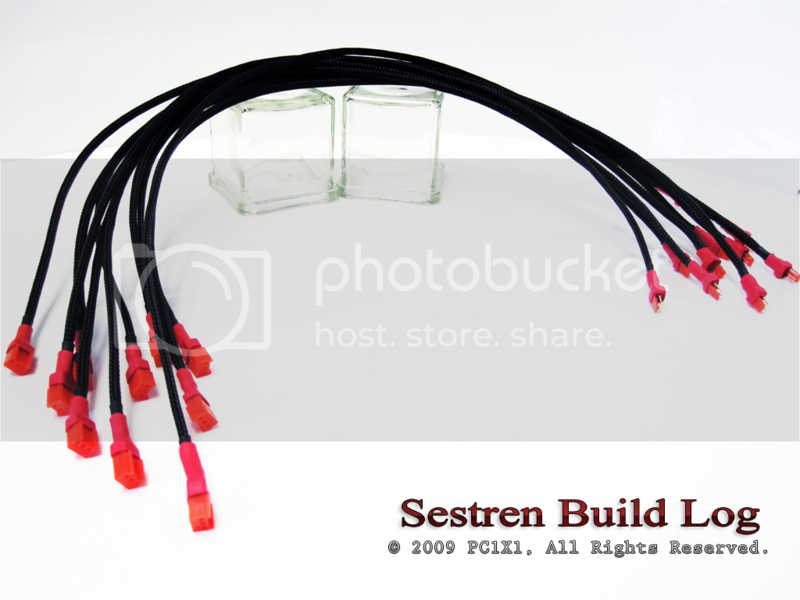 Here we have ATX spec, the mother of all power connectors! 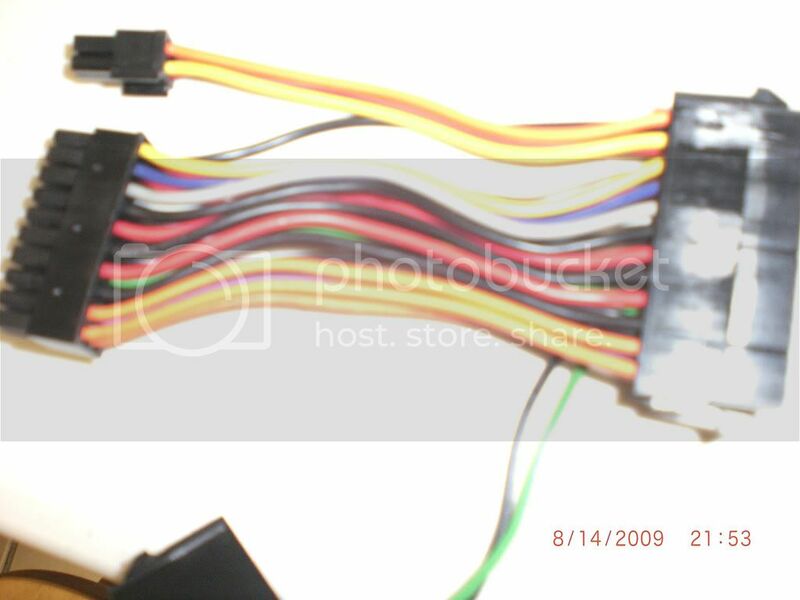 The 4 Pin Molex. 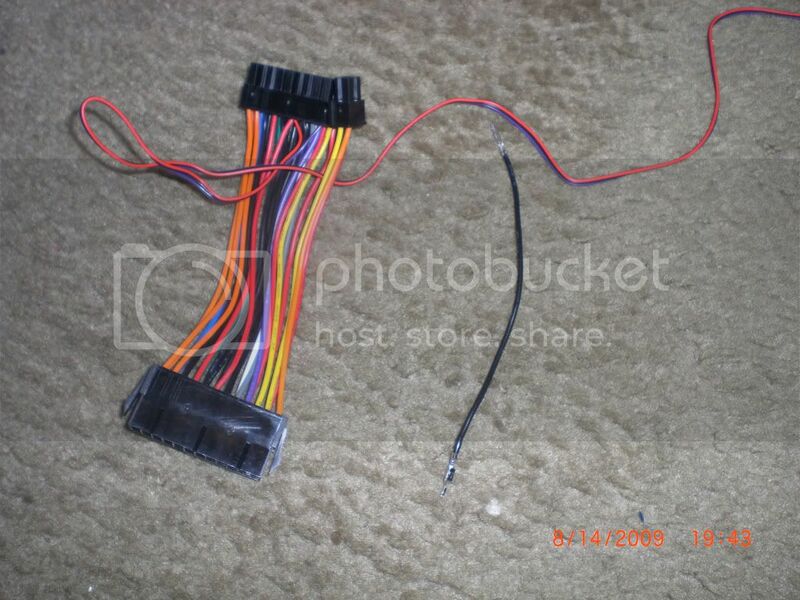 The 4 Pin Molex is an amazing combination of two grounded signals and a +5 Volts line and a +12 Volts line. They are the building blocks of computer and alot of hardware electricity. 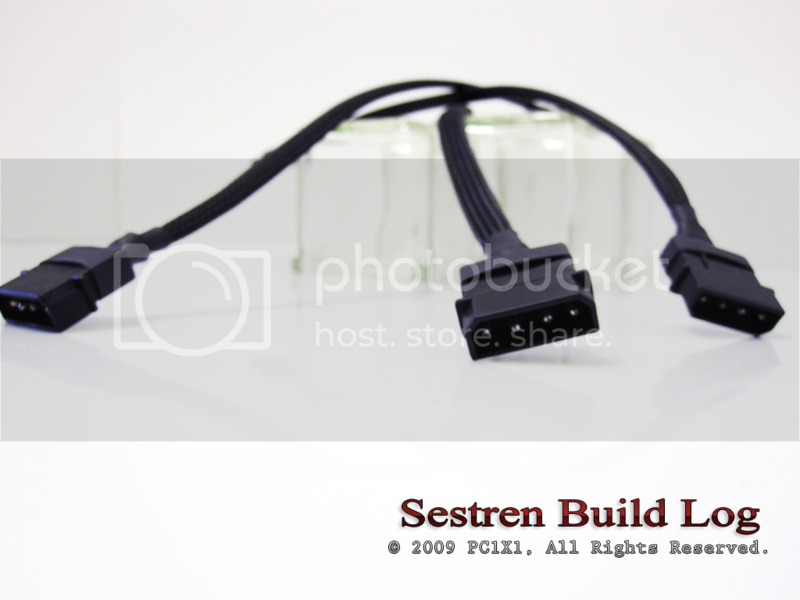 While the 4 pin molex has been superseded by the new and slim Sata Power Connectors, it still soldiers on as the quintessential computer power connector. And just because there are smaller and slimmer alternatives today, doesn't mean that there isn't alot of hardware that still uses the good old 4 Pin. 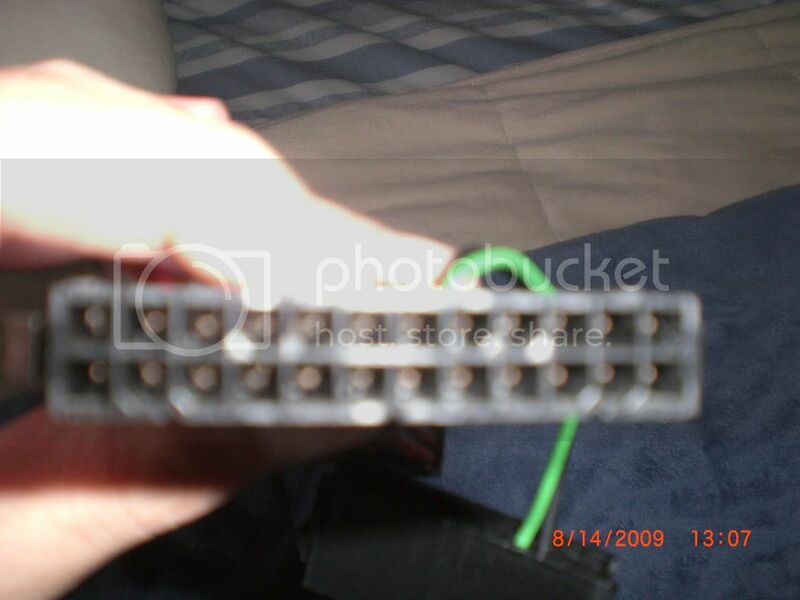 Coincidently it seems that the Wizards that are Hardware Engineers, have mostly made the 4 Pin Molex become the computer accessory connector. 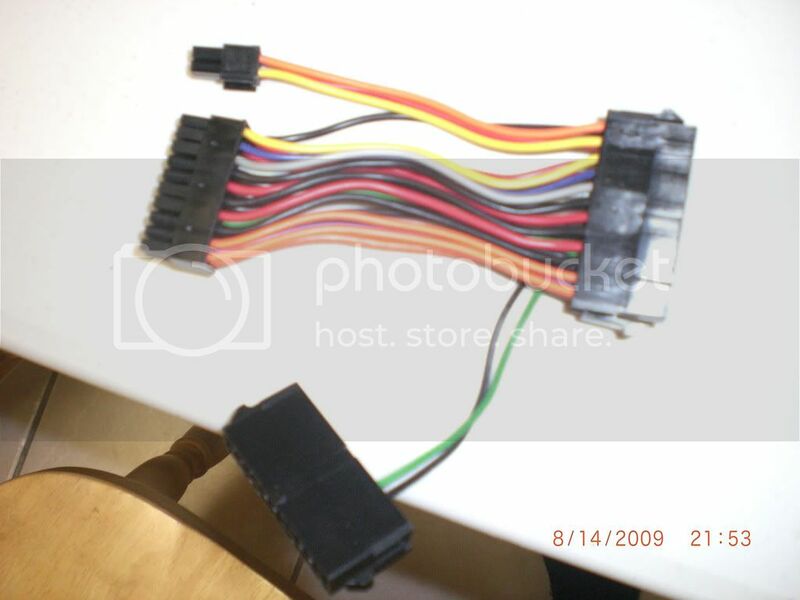 The Molex can still be used to power Hardrives, and other core computer parts, however as I mentioned Sata Connectors are better at that task, and some hardrives are even phasing out the 4 pin females. 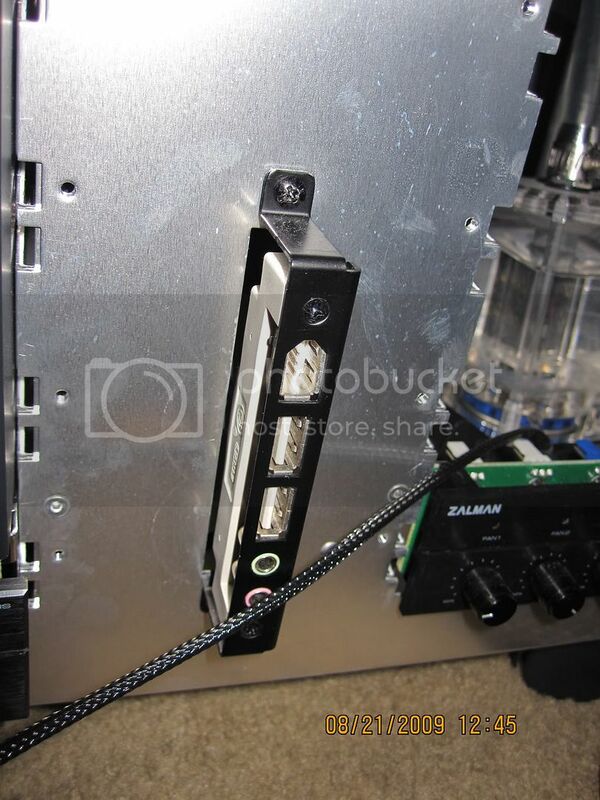 So you may ask, What is the 4 Pin instead is perfect for? Well basically everything else. Every single computer accessories you can think of. 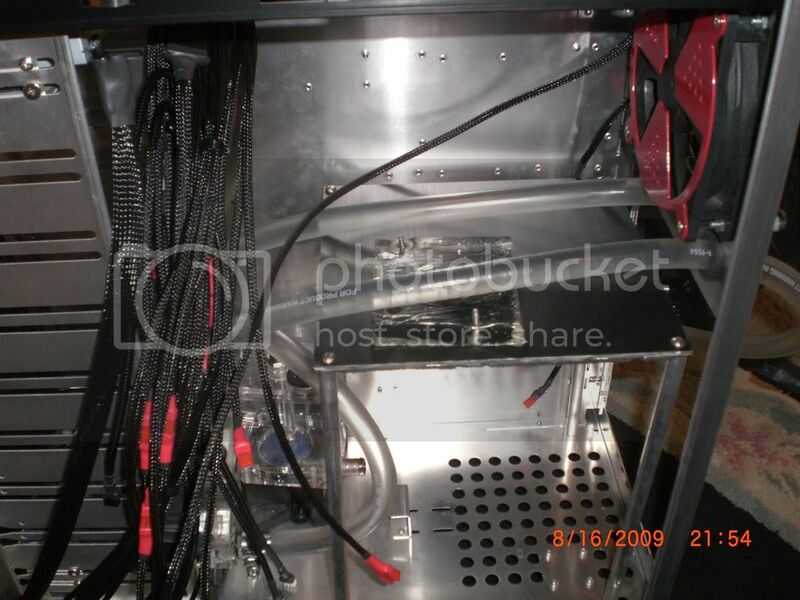 From Cold Cathode Lights, to that cool little Bay thingie that glow and you have no idea what it does, to water pumps, and everything else, is based on the good old 4 Pin Molex. Because it still a very versatile connector. It is universally used and thus has a large market penetration, and is highly mod-able, or customizable. 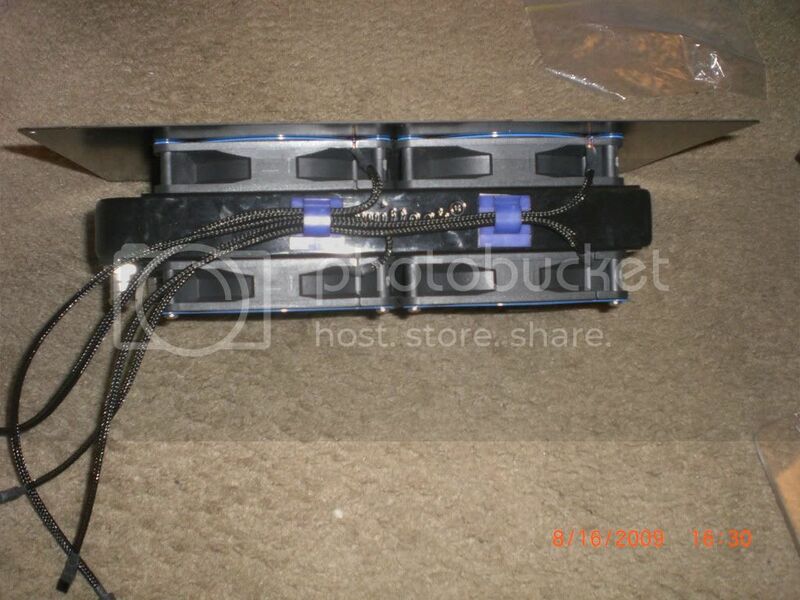 Not to mention, motherboard manufacturers have also been using the 4 Pin as a power supplant to high end motherboards. 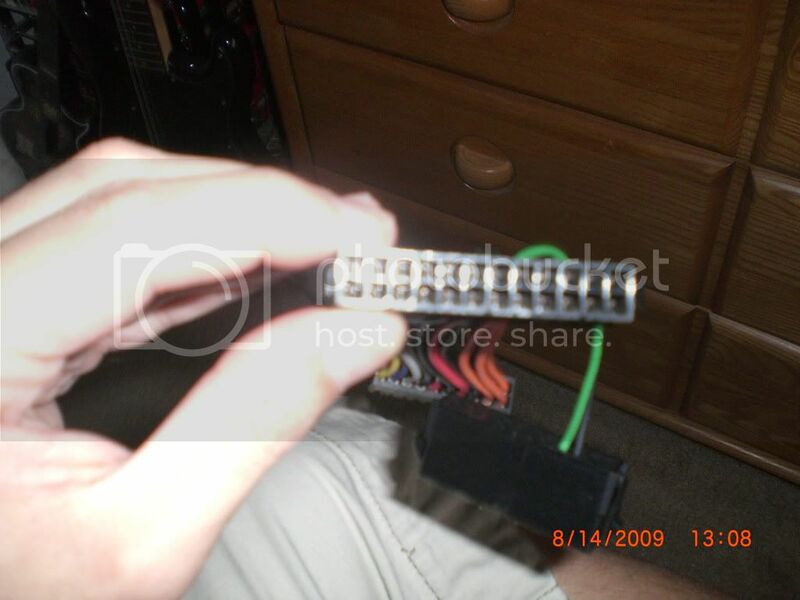 Basically the 4 Pin Molex isn't going anywhere. 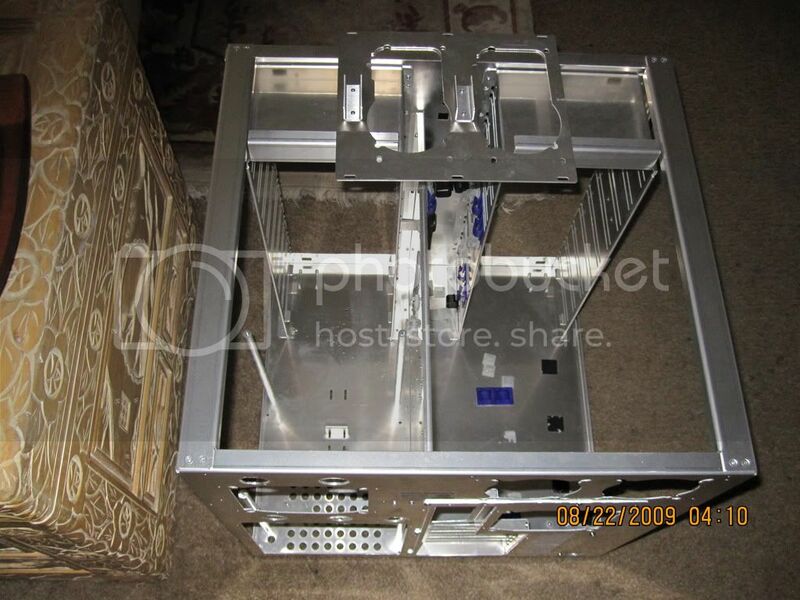 So we have the gear that needs it, but in the quest of organized wiring, it is a bit cumbersome. 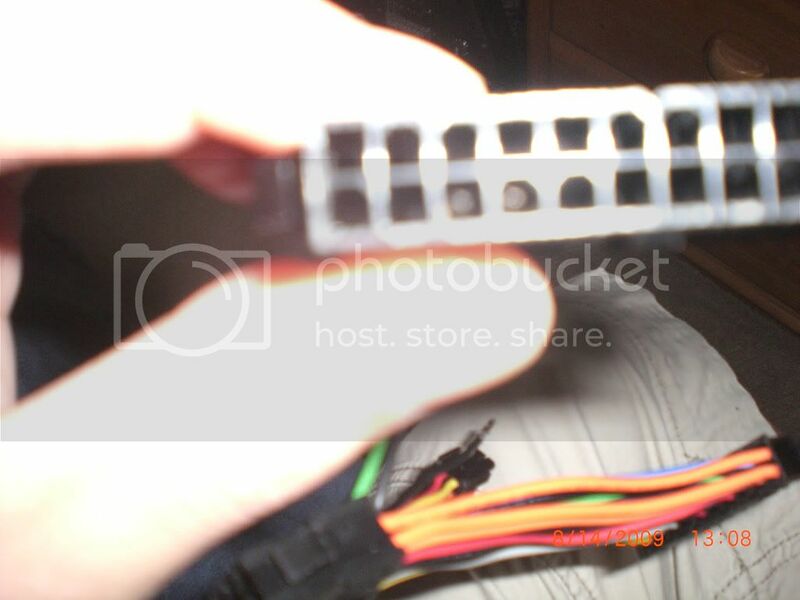 The main problem with a 4 Pin Molex, is the same as DVI to HDMI, it does the same thing as its alternative. However it is bulky, and unattractive. 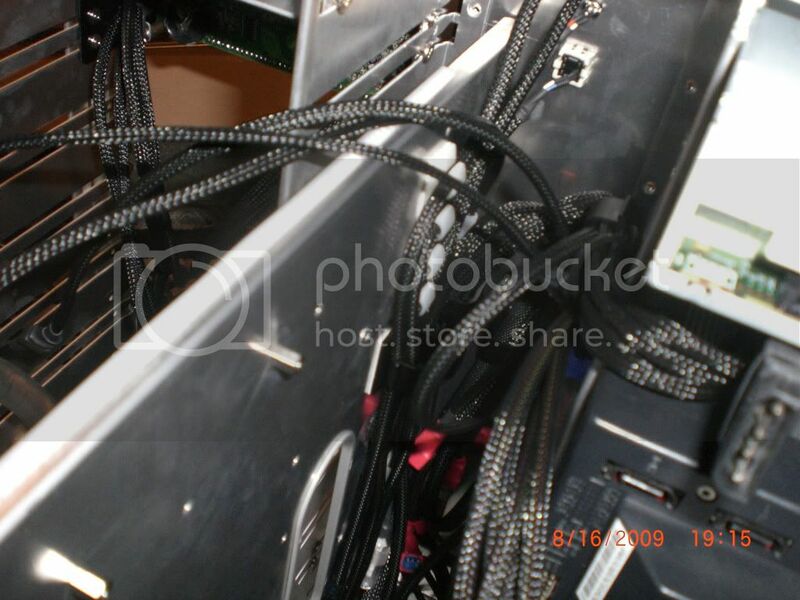 Worst yet you need to route distances in your case, that can't be reached by the cables that come with your motherboard! 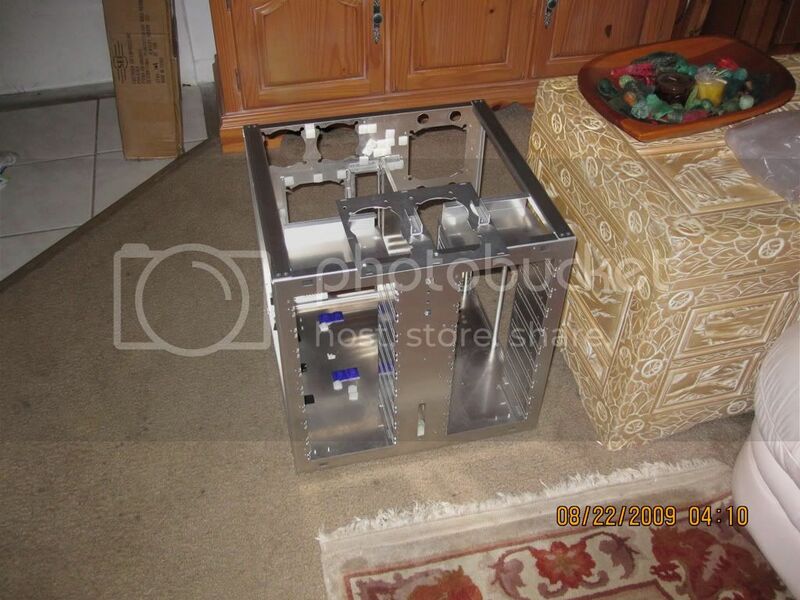 However don't be discouraged because again our friends at Petra's Tech Shop, have what we need. 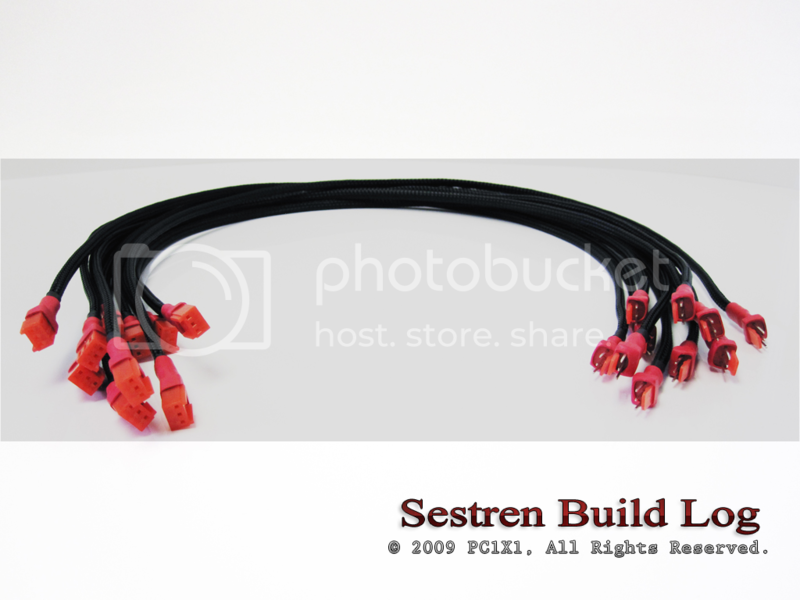 *Please note that the pictures above are of the product that is being reviewed, however that product as since been upgraded with a male and female black connector, and has been resleeved with a third party sleeving to achieve that look. You cannot purchase a Extension in that condition, you have to sleeve it yourself! Basically you have two choices, either buy a standard extension that does not come sleeved or buy one that is. Unfortunately I have already sleeved all my extensions, and thus do not have any recent photos on how they looked prior to be sleeved, you may check the beginning on this worklog to see all I went through to sleeve them! It was a alot of work, but I had a solid foundation with Petra's Tech Shop Extensions. Petra's offered various sizes, and all of high quality. 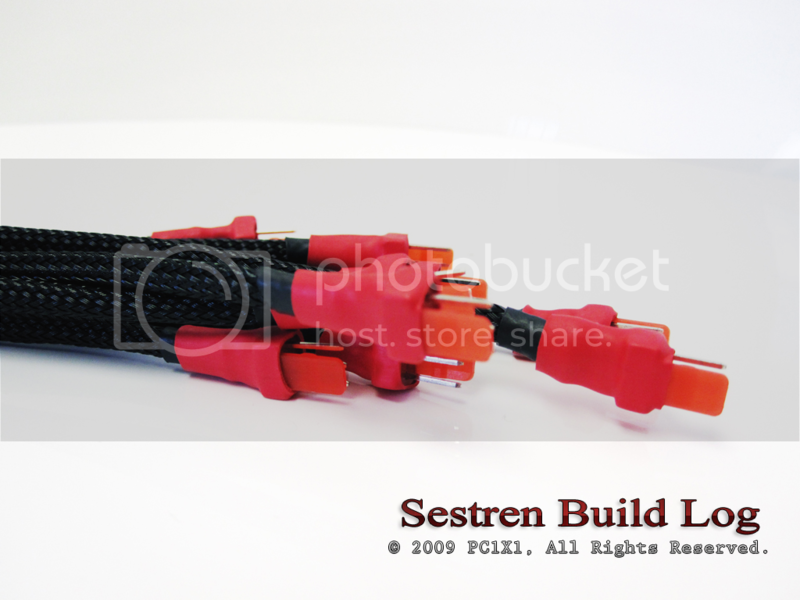 After spending thousands of dollars in accessories for Sestren, I needed dependable extensions, and I am highly satisfied with what I got from Petra's, just be prepared to do alot of custom work yourself to reach this level of quality. However the original extensions that came pre-sleeved weren't bad at all. In fact, they were of much better quality then I imagined. 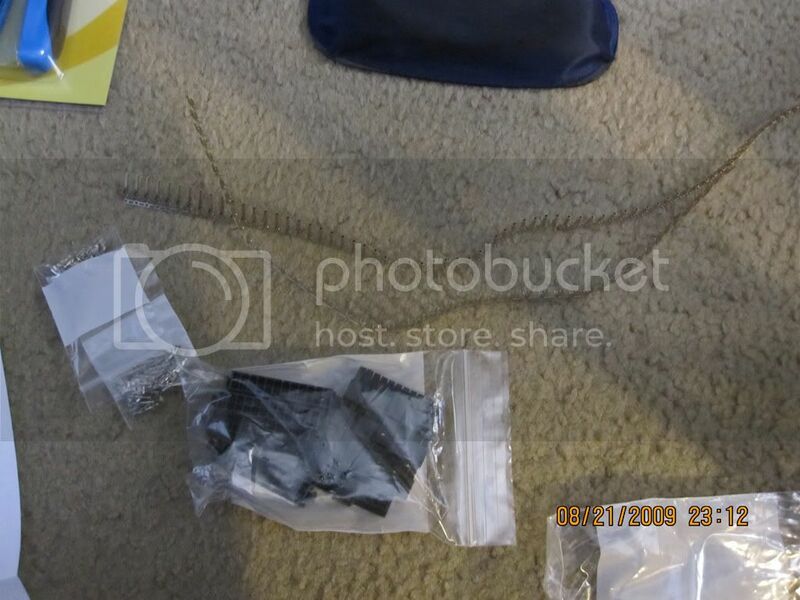 The stock that I got was from OK Gear, and was basically that, OK looking. It wasn't a custom sleeved job, but it wasn't a hack job either, it worked, and seemed to be using a derivative of PET Sleeving. 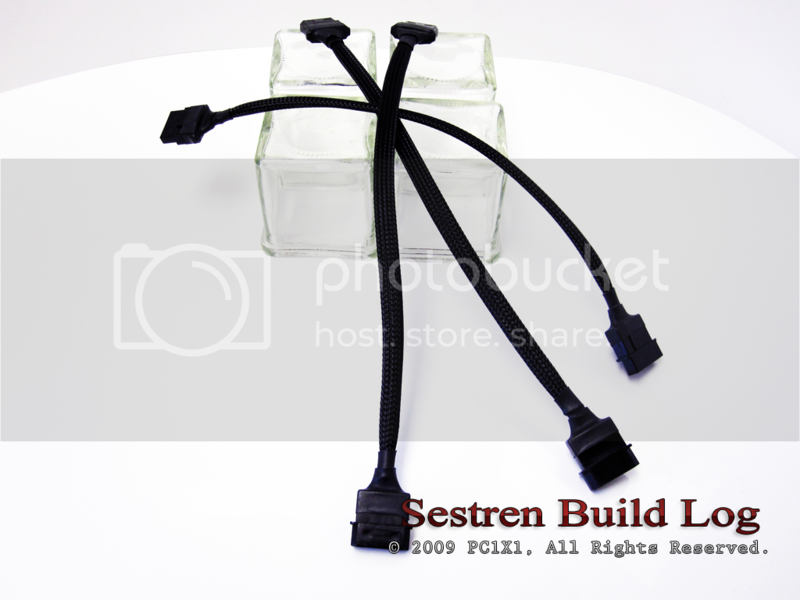 So if you want to sleeve your cables and do not want to do it yourself, I highly recommend these, and if you want to do it yourself, be sure to buy the bare extensions, and then do the custom work yourself. 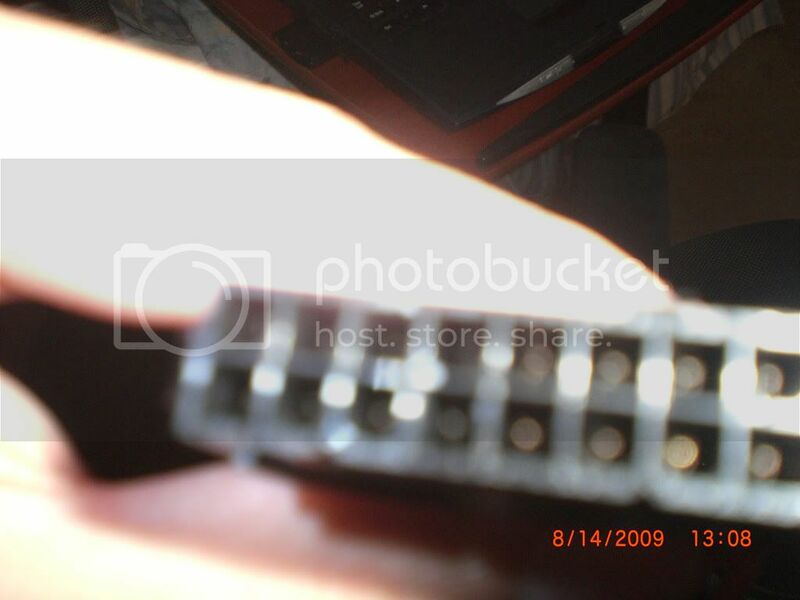 For references on how to actually sleeve it and for pictures of the tools needed to custom sleeve your wires, check the beginning of this worklog. 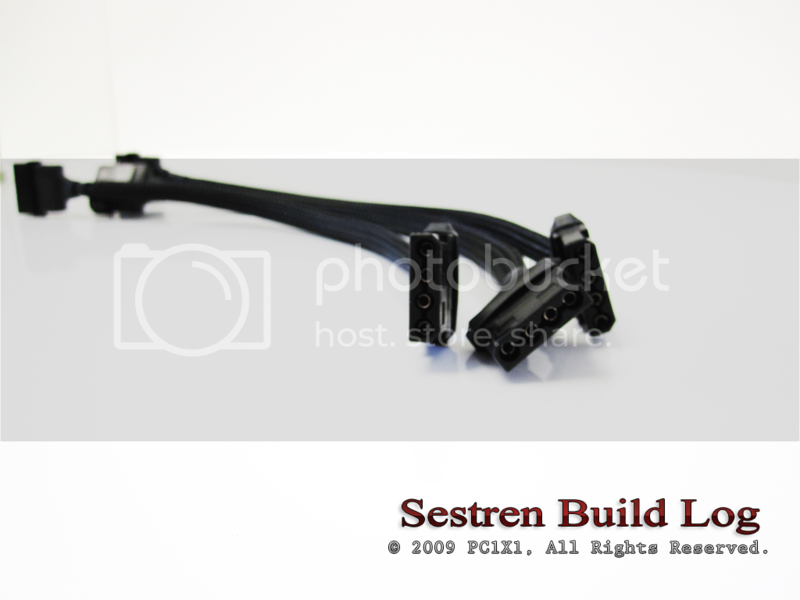 Following the same principles as the 4-Pin Molex, albeit specifically tailored for 3 Pin fan, these extensions are made to route those ever growing fans from your case right to your power supply. Basically the same Review applies to these 3 Pin Extensions, they work as advertised come in various sizes, and when sleeved look great! You can purchase them at Petra's either sleeved or non sleeved, and they are very inexpensive. 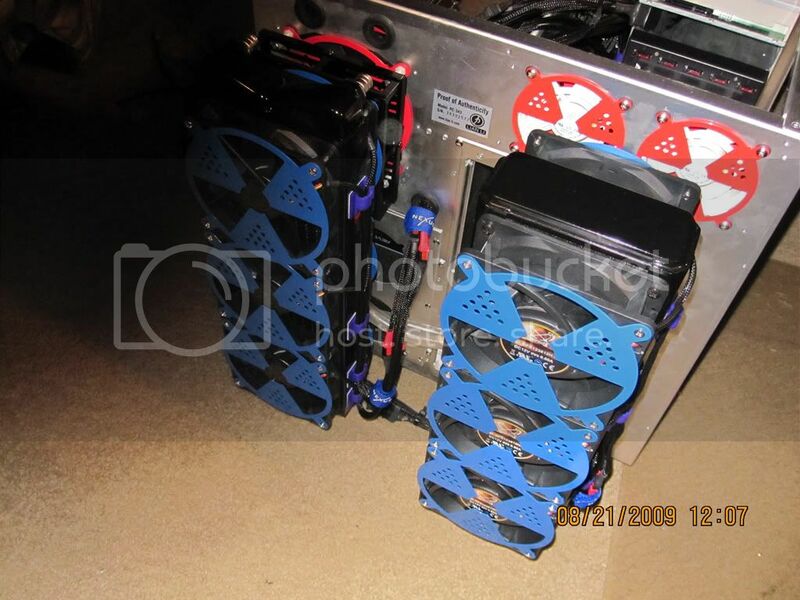 They carry all volts needed by your fans, and I checked each of my extensions with a volt meter to ensure consistency. 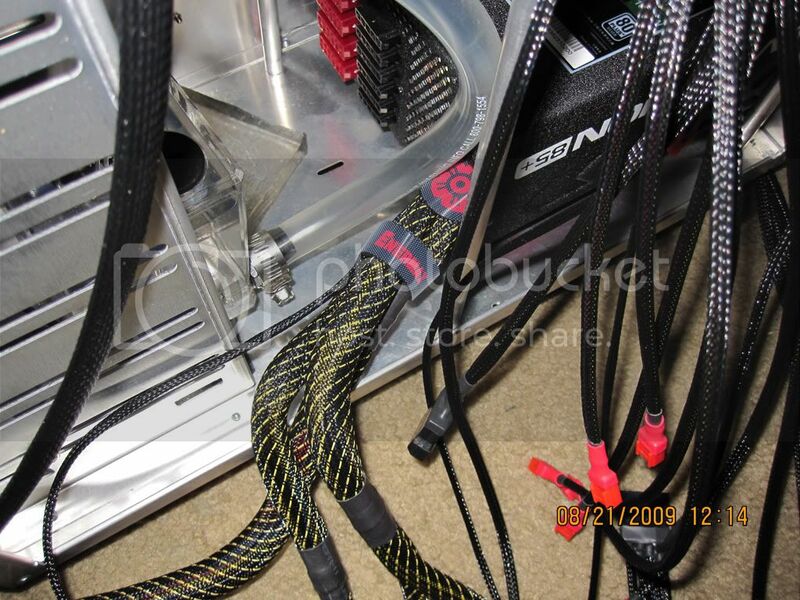 Like I mentioned before, I highly recommend them as a way to route your computer cables so your computer is more aesthetically pleasing and as a way to increase space and airflow inside your case. Highly recommended, especially if you have 30+ fans like I do.